The extreme heat is not just dangerous for people; it can also be deadly for animals. North Texas ranchers are working overtime to keep their livestock healthy, and it can be costly. "It has been worse than any other year," rancher Jana Thorton said. "The horses are suffering because of it." "In these last few weeks, it is coming to a head, and more of these horses are having problems," veterinarian John Bitter said. Ranchers are working hard to keep their horses healthy and fed during the scorching Texas summer. 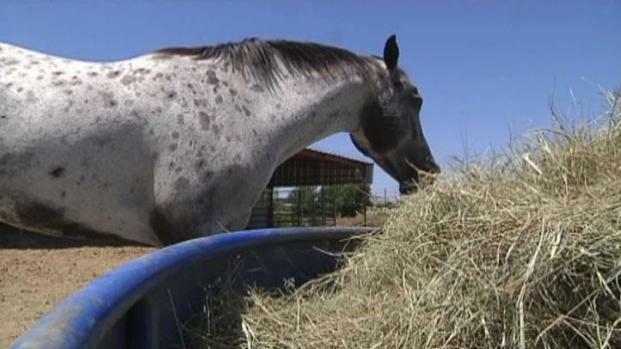 Bitter said the heat can cause horses to have intestinal problems such as colic or develop a condition that keeps their bodies from cooling down. "Their internal thermostat shuts down, and they quit sweating," Bitter said. Thorton calls her horses her babies. She's been working overtime to keep them healthy. Thorton waters them down, keeps fresh water in the tanks, and feeds them extra minerals. She even keeps misters and fans in the barn to cool the horses down. The hardest part is keeping them fed because the pastures are too dry to graze. 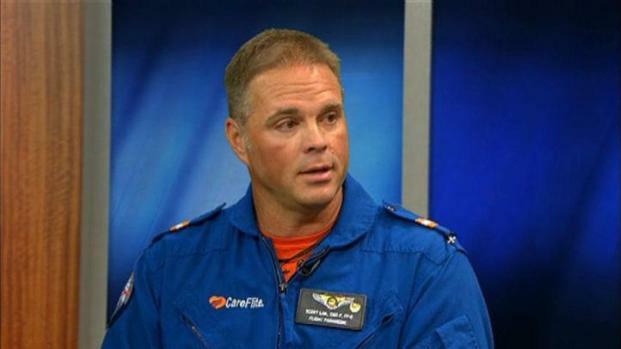 CareFlite paramedic Scott Lail talks about signs of heat stroke and heat-related illness. "There's nothing; it's all burnt up," Thorton said. "We are having to feed [them] round bales of hay, which are very expensive." The demand for hay has gone up, but so has the price. It's stressing ranchers' bottom lines. "It cuts it in half, easy," Thorton said. Emergency room doctors say they are seeing heat-related illnesses related to exercising in the excessive heat. "We see a lot of cattlemen selling their cattle right now in huge numbers only because they can't afford [them] -- or if they can afford, don't have the resources to feed them," Bitter said.